Trip-hop? What the hell is that? And that, ladies and gentleman, was about all I could muster while listening to Massive Attack’s Mezzanine. 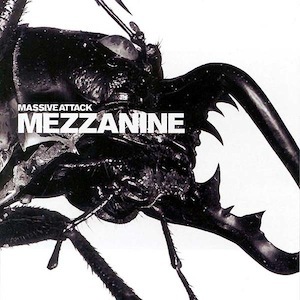 At the conclusion of this record, I came to a conclusion of my own: while I still have no idea of exactly what “trip-hop” means, it is a perfect and accurate descriptor of Massive Attack’s work. Is this hip-hop? Not quite. There are plenty of bass-heavy beats, but there’s never any real “rapping,” per se. Instead, there are (you guessed it) trippy lyrics sung every now and then. Overall, this record relies relatively little on vocals, though, opting to let the awesome beats and layers upon layers of sound speak for themselves. Mezzanine has a very atmospheric sound. This record should be listened to in a dimly lit room in solitude, on something very comfortable—that is to say, it works beautifully as space-out music. Sure, that doesn’t make it the best album to write about for this blog, but I can still see the record’s potential usefulness, and will definitely add it to my zone-out repertoire. For some reason, I got the feeling that everything was moving in slow motion while listening to Mezzanine. That may have something to do with its hour-plus length. While it is acceptable for a record of this nature to go for that long, I always find it annoying when Swole Ear takes up more than 1/24th of my day. Don’t get me wrong, I’m glad that I listened to Mezzanine; I just wish there were a non-zone-out version, light on the trip, heavy on the hop. So what is the difference between rap and hip hop? Maybe for a DRT your dad can have listen to The Sugarhill Gang or maybe even more Blondie!